There are certain types of foods that are designated as comfort foods and grilled cheese sandwiches are near the top of the list. In need of satisfying my hunger I took the advice of several Twitter followers and decided to check out Melt Grilled Cheese. 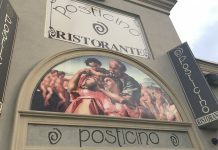 I wasn’t sure what to expect walking in for the first time but walking out I decided that this Etobicoke establishment has a repeat customer in me for life. Melt Grilled Cheese, located at 3341 Lakeshore Boulevard West, is the answer to your hunger pains. With a row of Muskoka chairs out front and a water bowl for Fido, you’ll feel welcome from the moment you walk up to the front door. 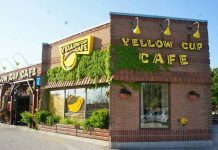 The staff are equally inviting as they take orders from regulars and explain the ordering process to newcomers (pick your melt, pick your bread, pick your sides, pick your toppings, and pick your dipping sauce). 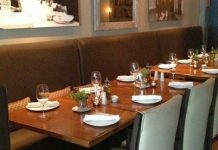 The interior of Melt Grilled Cheese is modern but also very comfortable with plenty of table seating and some high chairs at the window so you can people watch as you mow down on some delicious grub. But enough about interior spaces and design aesthetic! My guess is that the main reason you’re reading this write-up is for the grilled cheese sandwiches. So how does Melt stack up? Pretty darn well. 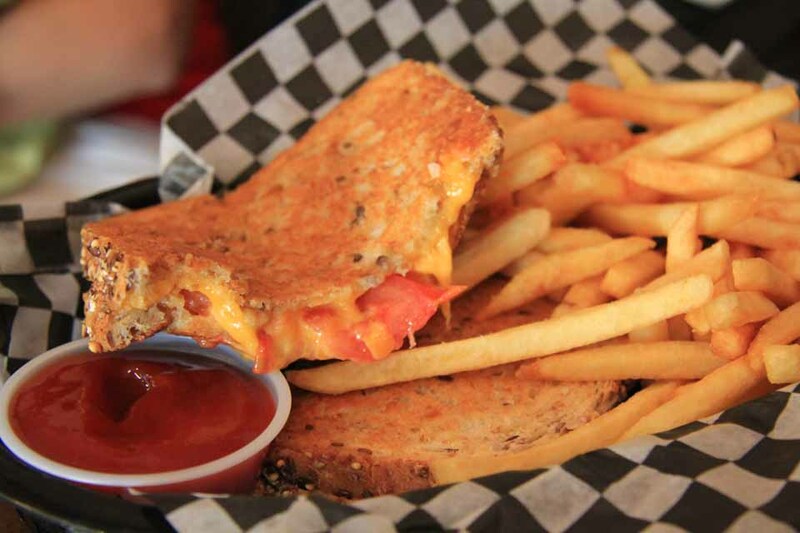 I can easily say that these grilled cheese sandwiches are some of the best I’ve ever had. You will not be disappointed. You really can’t go wrong with any melt. From the classic to Buffalo Bill to the Wake n’ Bacon. For a side try the poutine or the Texas Slaw. Also, with six sauces for dipping within arm’s reach, the same exact sandwich can be had six different ways just by selecting another sauce. Like Pavlov’s dogs I’m salivating just thinking about it. 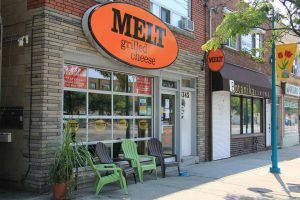 With franchising opportunities being made available I get the feeling that we’ll start seeing other Melt Grilled Cheese locations across Toronto and the GTA. 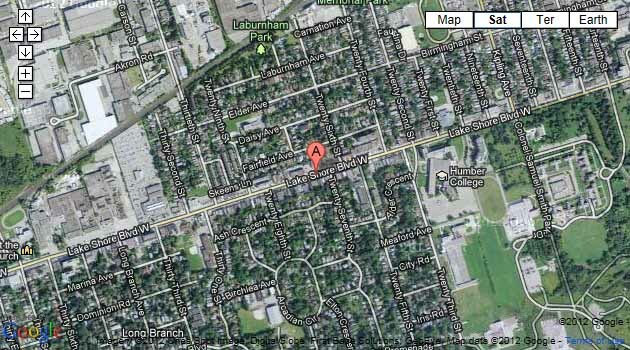 But let’s not forget that the first and original Melt is located right here in good old Etobicoke.